Apps Stuck Loading On iPhone Or Waiting: The Real Fix For Updating Apps! You are at:Home»iPhone»Apps»Apps Stuck Loading On iPhone Or Waiting: The Real Fix For Updating Apps! Apps are stuck loading on your iPhone, and it’s driving you crazy. I don’t know if you are anything like me, but I hate looking down and seeing that little red bubble above the App Store informing me that 20 apps that are ready to be updated. But, when I go to the App Store -> Updates -> Update All, it doesn’t work. 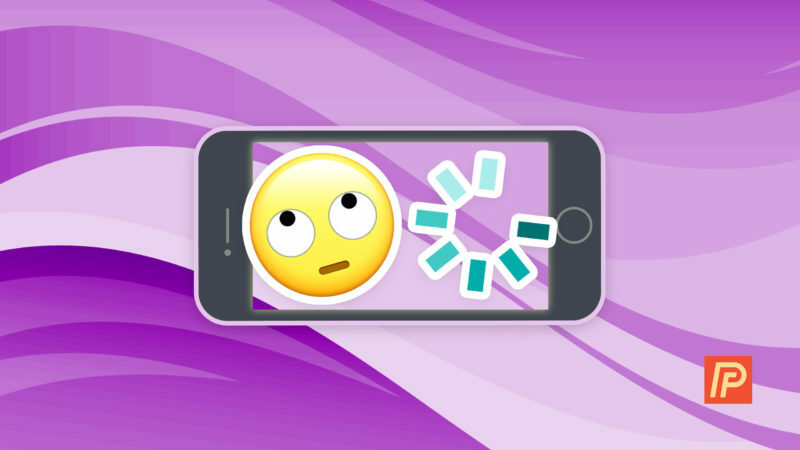 In this article, I’ll explain why your apps are stuck loading on your iPhone, how to fix stuck updating apps, and why you’re seeing the dreaded Loading… message on your iPhone. 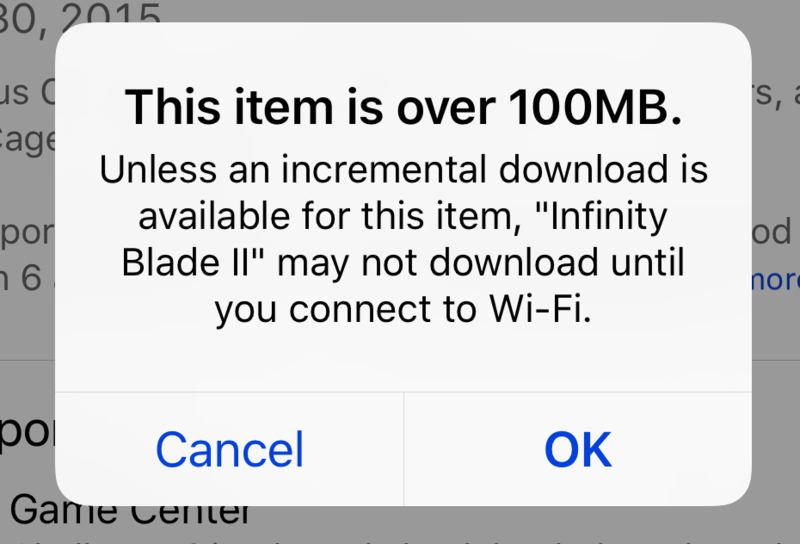 This app is over 100MB, and according to Apple, that means it won’t download unless you’re connected to WiFi. 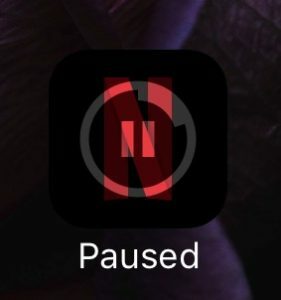 That’s why, if you’re not connected to Wi-Fi, your apps won’t finish downloading or they just keep saying Loading… or Waiting… Take it from me: This can be extremely frustrating, because you can tap on the app and it will alternate between Loading… or Waiting… and Paused. iPhone apps stuck loading are a very frustrating thing that frequently occurs on the iPhone! If an app is stuck loading and your iPhone is connected to Wi-Fi, try to delete it and download it again from the App Store. To delete an app, press and hold on the app until it starts to wiggle, tap the small x that appears in the upper left-hand corner of the app, and tap Delete to get rid of it for good. Then, open the App Store and redownload the app. This works a lot of the time, but sometimes the app doesn’t delete at all. That’s when you’ll encounter what I like to call a ghost app. As I said in the previous step, one troubleshooting step I do is to delete an app that’s stuck loading, but sometimes I get the ghost app. The ghost app is extremely elusive — it’s the unicorn of all apps, so I couldn’t get a screenshot of it — but trust me, it happens. A Ghost App is an app that you delete, but it doesn’t leave the home screen on your iPhone. It just won’t go away. Fortunately, the exorcism (excuse me, fix) is usually simple: The Ghost App can usually be removed by restarting the device, by the way. The Super Easy Fix For iPhone Apps That Get Stuck Loading Or Waiting! When you download apps, you will see this circle with a square in it appear in the App Store and the blue outline will show you the download progress. Sometimes the line will get stuck and the app won’t finish loading. If you go to the home screen, you can see that the app says it’s Loading…, but it’s not making any progress. 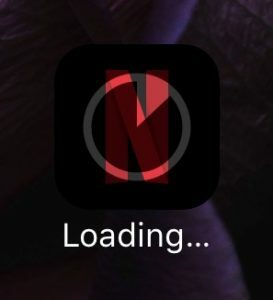 To fix an iPhone app that’s stuck loading or waiting, tap on the circle of the loading app in the App Store to stop the download. Next, tap UPDATE and the app will download like it should! Restarting the download is a simple way to fix iPhone apps that get stuck updating and apps that get stuck loading. In iOS 10 beta, I see these messages when I 3D touch on a Loading app, which lets me Prioritize, Pause, or Cancel Download, or Share the app. These are some great new options for people who are updating or download many apps at the same time, especially if you’re restoring from an iCloud backup! This should also be a new way to fix stuck apps, although I still found that the iPhone apps stuck loading or waiting problem happened even with these new options, so I went back and fixed the problem using the easy method I showed you before. If you do pause the download, the options change slightly when using 3D Touch compared to what you’ll see on the home screen itself. 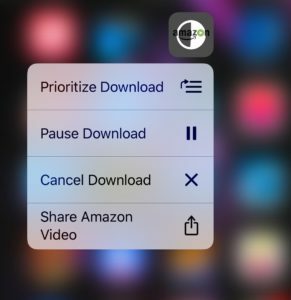 Now, the 3D Touch menu says Share app, Cancel Download, and Resume Download. 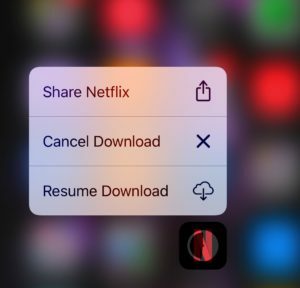 But what’s really neat about about the new 3D Touch options for apps is that you can prioritize the downloads so you can get that app you want to right away to download first! iPhone Apps No Longer Stuck Loading Or Waiting! If you have apps stuck loading or updating, don’t fret, because the solution is extremely easy, doesn’t usually require restarting, and can be done is less than a second! Previous ArticleWhat Is A Jailbreak On An iPhone And Should I Perform One? Here’s What You Need To Know. Next Article Pandora Won’t Load On My iPhone! Here’s The Real Fix. I'm a technology blogger, a social media expert, and an educated mom. I have 3 daughters, ranging in age from infant to teenager, so I've learned a few tips how to use technology creatively and usefully. We use advanced technology on our phones and even the toys our kids play with, so I'm here to share my tech know how, and share a few tips on how to use technology on the go and in everyday life with kids!